WOW! 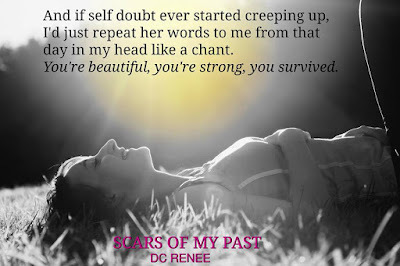 Scars of My past by D.C. Renee was more than I anticipated and the powerful message woven throughout this story pulled at my heartstrings and has stayed with me long after turning the final page. 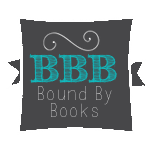 In fact, once I finished reading, I was so moved by the story that I couldn't begin another book. Cameron Dents is a starting college quarterback with a past he is desperately trying to forget and move on from. Genevieve Breitling is a girl who survived her past with a constant reminder that she is strong, loved and a survivor. Cam saves Genevieve from the unwanted advances of a classmate who couldn't take a hint and with the two sharing a class, they become friends. Cam reminds Genevieve of someone from her past, someone who ruined her self esteem and drove her to things that she never imagined. But the boy Genevieve knew had a different name. As a friendship continues to develop between these two, feelings of more than friendship begin. 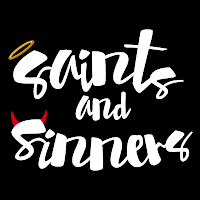 But its then that Genevieve realizes that the boy who ruined her high school years actually is the same person that she spends all her time with today. The difference in character and attitude between the two is unfathomable to her. 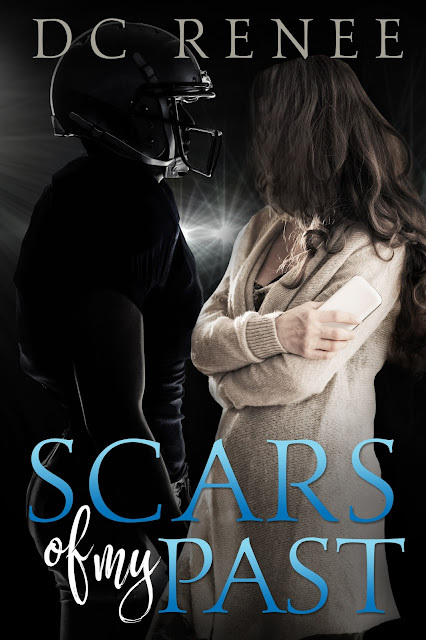 As Genevieve struggles with what to do about her feelings toward Cam and her hatred for who he was in high school, Cam slowly reveals the details of his past, a past that was so hidden from the world that no one knew or could have guessed the struggles and defeat he faced each and every day. As each layer of Cam's childhood is revealed to the reader, your heart breaks for him a little more for what he endured while hoping that Genevieve can see past his actions to the person he has become today, despite everything from his past. This book is a must read! !